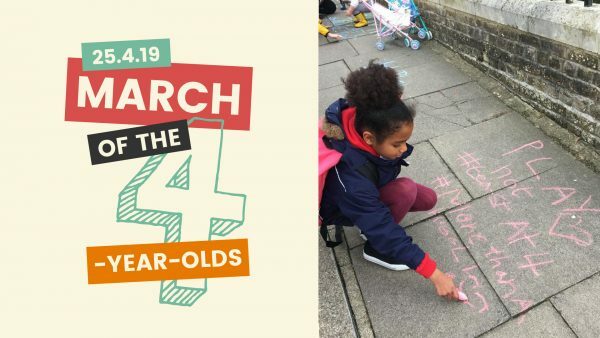 On Thursday 25 April, we’ll be marching to 10 Downing Street to hand in our petition demanding a halt to the government’s plans to test four-year-olds when they start school. A group of 4-year-olds will personally deliver the signatures to number 10. Our petition, which topped 64,000 signatures earlier this month, is growing every day. Now it’s time for the government to listen to parents, teachers, heads and education experts. Those who know our children best all agree: testing four-year-olds makes no sense. Please also bring signs, placards and musical instruments. We want to be seen and heard! To sign up for the event, visit our event page.